Every candidate and referendum, explained. There are over 85,000 positions up for election in 2019. Sign up to be notified about upcoming elections and voter guides for your area. Dive into the background of every candidate and referendum on your personal ballot. 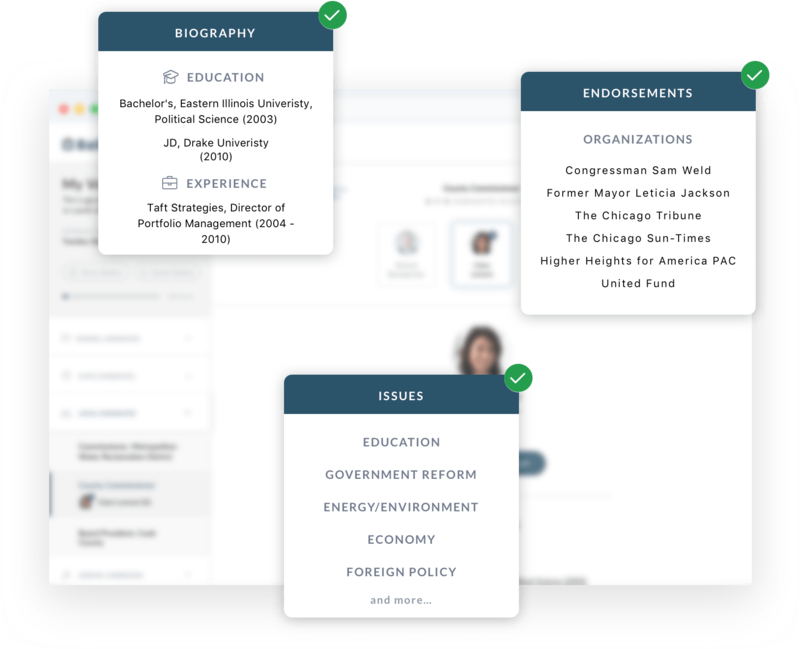 Compare candidates based on their stances on issues, biography, and endorsements and save your choices as you go. 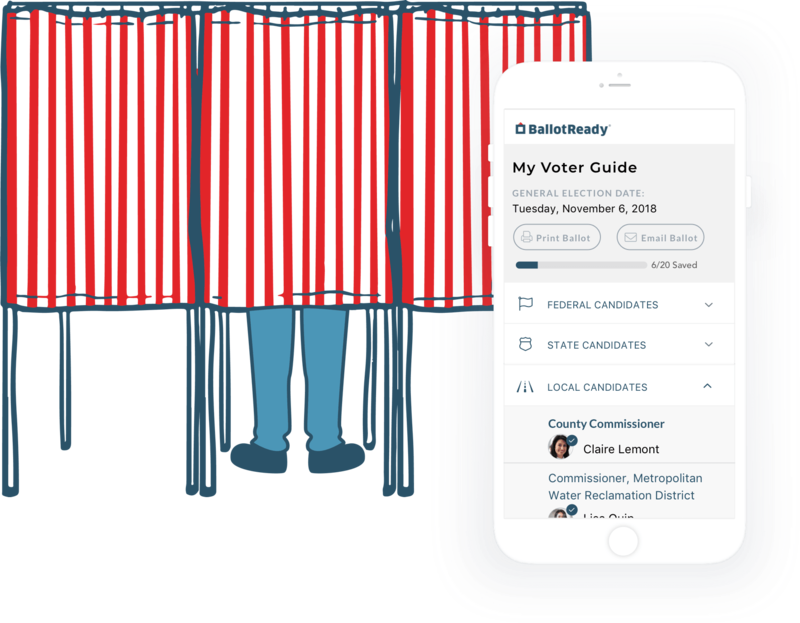 Breeze through the ballot box by bringing BallotReady to the polls. 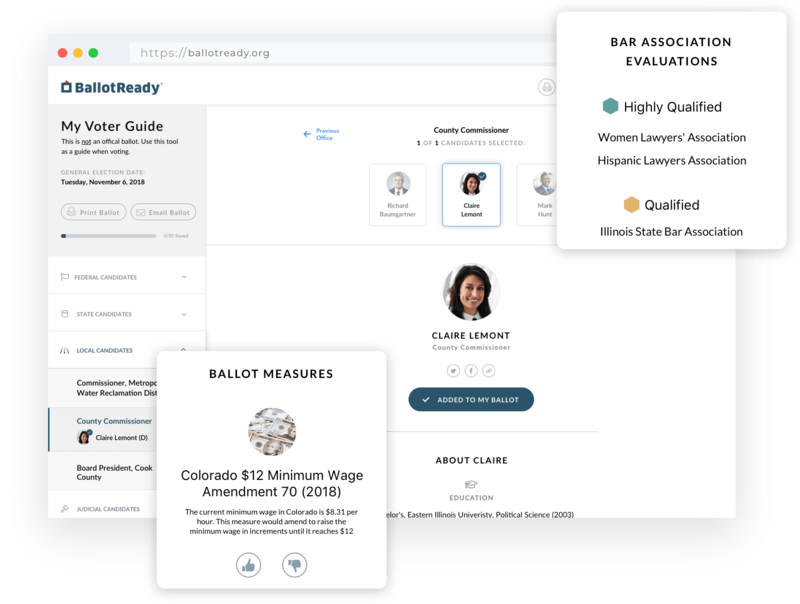 From county commissioners to ballot measures to judges, access everything on your entire ballot that you'll see in the voting booth. 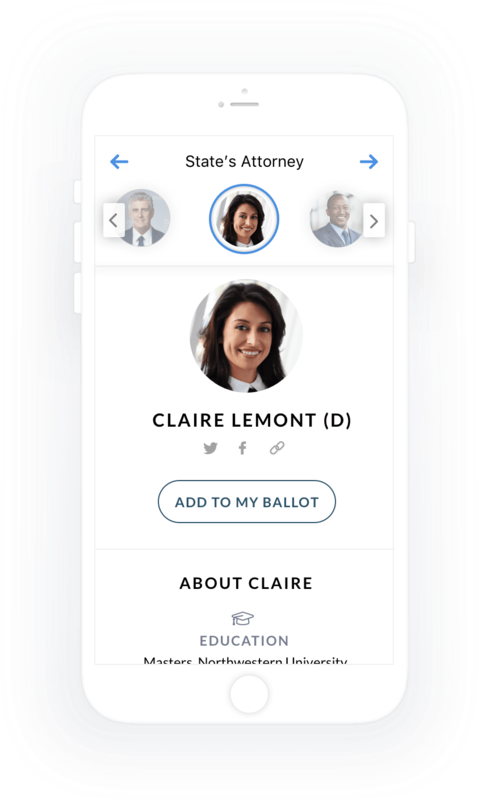 Either bring your phone with you to the ballot box (state permitting) or email/print your ballot for easy reference. 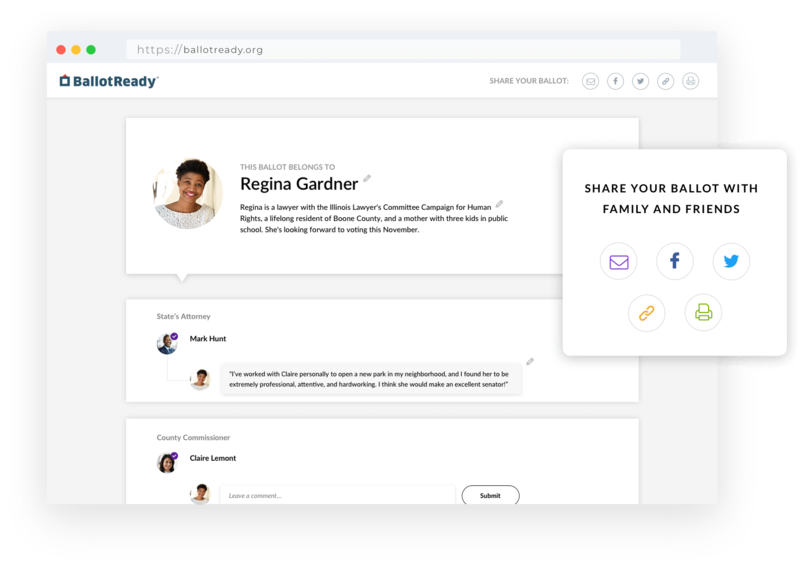 Easily share your saved choices with your friends and family. Every piece of information is verified by researchers and linked back to its source.